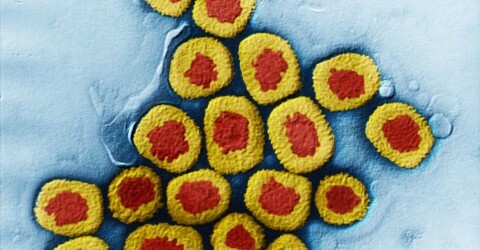 There are two known remaining samples of the smallpox virus (in Russia and the US) and they have been condemned to destruction by the World Health Organization since the 1980s. What an amazing and chilling thought: the true and complete destruction of smallpox! Do we celebrate victory or mourn loss? As this blog is about preservation, I ask you all how far should preservation extend? Should something, a small bit, be saved? Taking most of my information and quotes from an article in Live Science, a clear case is made for the destruction of the two samples. First, if the known samples are officially destroyed, the possessors of any other samples found to be in existence can be treated as criminals; smallpox can become something that it is universally illegal to posses. Second, the risk of accidental contamination is eliminated: although such a situation is extremely unlikely, just such an accident caused a death in the UK in the 1970s. Finally, the virus’ genome has been sequenced so it exists forever in that format. Yet, I find myself feeling that something is inherently wrong with total destruction. Don’t get me wrong, I honestly feel that the triumph over smallpox is one of the greatest achievements of our little species. Once, at a museum exhibit about the eradication of the disease, I was so filled with emotion that I cried: VERY uncharacteristic of me. Yet I can’t help thinking that, in destroying the remaining two known samples, humanity is making the wrong preservational choice. Pragmatically, we have no idea what will be possible in the future. While we dream of science future, our policies have always reflected science present. Think of archaeologically excavated teeth bones from the later 1800s that were painted with chemicals to aid in preservation that are now useless for any sort of scientific dating or isotope analysis. Who knew? What if there is an entirely unknown next step for science that would require the actual smallpox virus for analysis? Practically, stealing the virus from the CDC is impossible and any number of nasty things housed there are a theoretical low risk. Also, historic smallpox scabs have been hailed as interesting and valuable bits of preservable heritage before, it is not new to view disease in that way. 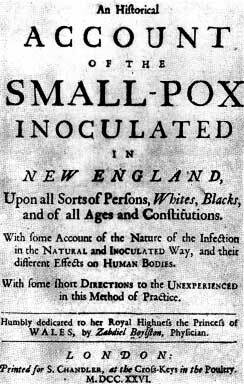 Imagine how different everything might be without smallpox. What would the conquest of South America look like if Inka Huayna Capac hadn’t caught smallpox and the Spanish had faced organized Inka resistance with a clear leader? This virus is our past, it has affected the course of our world, is it not our heritage? So, then, both the willful preservation and the informed destruction of smallpox at this juncture can be seen as highly symbolic acts. To preserve the virus for anything other than purely scientific reasons would be akin to saying that smallpox is the heritage of humanity: the vanquished foe consigned to a guarded vial in some deep dark vault, a memory of our past preserved forever. 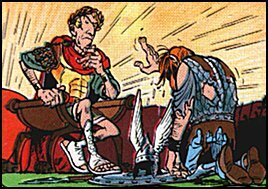 To destroy the beast after the battle is already won feels like the execution of Vercingetorix after his 5 years of captivity following the battle of Alesia: the final public blow to an enemy that is no longer a threat. Do we really want to be Caesar in this analogy? The WHO is meeting to discuss this issue next month. I doubt ‘cultural patrimony of humanity’ will be a phrase that tumbles from any of the medicos there and perhaps it shouldn’t be. I just cannot help but wonder if, for one reason or another, we humans will be sorry if smallpox is entirely destroyed.